Join the growing community of Central Florida residents who are becoming more real estate market savvy. For many it took the 2008 real estate market crash to wake up to the importance of being market aware, for others it’s the confusion created by the many online and TV voices, giving advice, that helped them to recognize that traditional approaches to real estate are just not enough. 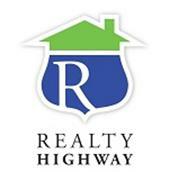 Realty Highway is not for the licensed real estate agent. Polk County residents receive this service exclusively from The Nolen Group. It’s for those who want easy access to specific data that pertains directly to them, that will assist them with hard real estate buying and selling decisions. It’s for people who want to take charge of their real estate future, for homeowners, prospective homeowners and investors, that want to make good decisions. It’s not a crystal ball, but an important tool for making good judgements on your way to success. Unlike in the past, an abundance of information pertaining to real estate and everything that impacts it is available. Realty Highway organizes that information and provides an easy access point for obtaining pertinent information. In time, Realty Highway will be the complete resource you need for all aspects of the real estate transaction, including the day to day maintenance and beautifying of your real estate. 1 Complete the request form Customized Real Estate Stats (presently, this service is only available for properties in Polk County FL). You may also wish to complete the Home Worth section and let us take a quick look at your home so that we can more closely match the price per square foot on your personalized chart, to the actual value of your house. 2 From your customized and password protected chart (accessed through the Client Login on the lower end of the site), watch the estimated value of your real estate (per sf) change. 3 Set up the neighborhood watch (under the Homeowners tab). This will keep you up-to-date on real estate activity that might affect the price of your property. Updates will be emailed to you as they occur. In the same manner, keep a check on your real estate investment properties too. 4 View monthly, the Central Florida Market and Coldwell Banker Real Estate stats on this site. 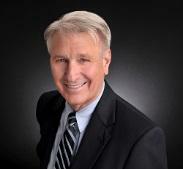 • Experience: I have literally handled thousands of real estate transactions, myself. President of The Nolen Group. • Passion: To help everyone have secure and enjoyable living space, and for investors to make acceptable profits. • Experienced Staff: In addition to the local Coldwell Banker’s staff, my staff will help you have a wonderful real estate experience. • Experienced Assistant Showing Agents: always available to meet the buyers’ and sellers’ schedules. Also, we treat agents from other offices like they’re virtually part of our team. This creates allies out of the hundreds of other agents. • Free advice and detailed price opinions Always call me before buying real estate, even if you’re not buying it through me.